Germany's Sami Khedira has poured cold water on his country's chances of success at Euro 2016. 1. A downbeat German international? Whatever next? Since time immemorial, supreme self-confidence has been the default attitude of those who represent Germany. So what a shock it was at the weekend to have Nationalmannschaft midfielder, Sami Khedira, pouring multiple gallons of cold water on his country’s hopes of claiming the European title this summer. “If we are to be honest, we must look at our current form and say that we’ve no chance,” declared Khedira in an interview with the Welt am Sonntag newspaper. Taking his cue from the world champions’ uneven Euro 2016 qualifying campaign, Khedira’s words of warning should not be seen as an off-the-cuff rant. Bundestrainer Joachim Löw regards him as one of the most influential leaders in the squad and if the Juventus man is reading the riot act, there’s clearly a problem or two to be addressed. This year’s prize for the promptest return to training after the festive season went to Darmstadt and Mainz, both of whom were back on the treadmill on January 2, a good three weeks ahead of the Bundesliga restart. As usual, the vast majority of German outfits have organised warm weather winter camps, with the most popular destinations being the Gulf, Turkey, Spain, Portugal and Florida. Once again, Bayern Munich will spend a week at the Aspire Academy in Doha; Dortmund are Dubai-bound, while Leverkusen and Schalke have arranged quarters in Florida’s Orange County, where they are scheduled to compete with Shakhtar Donetsk and a clutch of leading Brazilian clubs in a prestigious international tournament. Ingolstadt are the only Bundesliga team not requiring passports, preferring to do all their mid-term fine-tuning at their Audi Sportpark HQ. Borussia Monchengladbach’s Granit Xhaka is reported to be a target for Napoli. list said to feature the likes of Borussia Monchengladbach’s Swiss international, Granit Xhaka and Leverkusen World Cup winner, Christoph Kramer. Gazzetta are also predicting an imminent Juventus bid for Dortmund and Germany engine room linker, Ilkay Gundogan. Juve are reported to be prepared to offer as much as 30 million euros, though undoubtedly will have to go higher if the fine art collectors of the Premier League become involved. trying and failing to bring in Corinthians and Brazil schemer Renato Augusto – who used to play in Germany with Leverkusen – and now homing in such reliable ball-winners as Leicester City’s out-of-favour Swiss international, Gokhan Inler or the much underrated, Mauricio, a Brazilian with Russian club, Terek Grozny. Another possible target for the Gelsenkirchener is young Austrian playmaker, Alessandro Schöpf, a former Bayern Munich academy pupil, who presently is starring for second division promotion hopefuls, Nürnberg. 5. Hannover: New Year, New Luck? 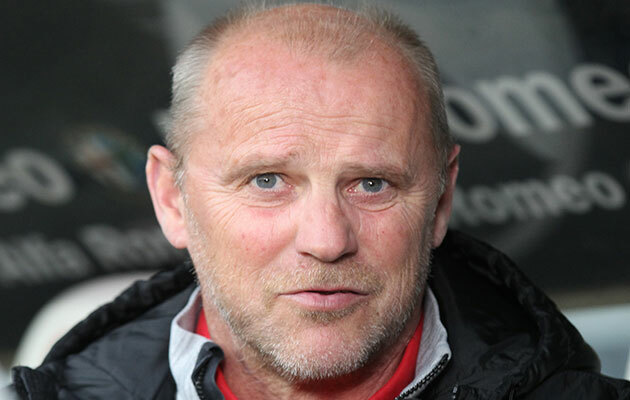 Will new coach Thomas Schaaf bring about a change of fortune for Hannover? Hoffenheim’s Hungarian striker, Adam Szalai – who has arrived on a six-month loan deal – dynamic Japanese World Cup midfielder, Hotaru Yamaguchi (ex-Cerezo Osaka) and promising young Norwegian number ten, Iver Fossum (Stromsgodset). Schaaf’s appointment is not without its risks. Despite his excellent track record with Bremen – notably achieving a league and cup double in 2004 and five Champions League tickets – he does like to play a open, attacking game and in a relegation scrap, it could be akin to a spot of Russian roulette.